I've removed review, added WIP label. Reporting is not registering its collector in this code yet. It looks like the monitoring plugin needs to wait until the registration method is exposed before the plugin can go green. Since exposing the collector object that has the registration method becomes a first-class concern of Monitoring, I want to make Monitoring's green status held up by that, to resolve the race condition. This test wasn't really doing very much, and hasn't been replaced with a similar mocha test in the Reporting plugin. Is there a step two planned to get rid of this and the abstraction leak below? Or maybe you can get rid of it now? This module that combines collection types together into a bulk payload unfortunately does have to stay, but just for the short term. 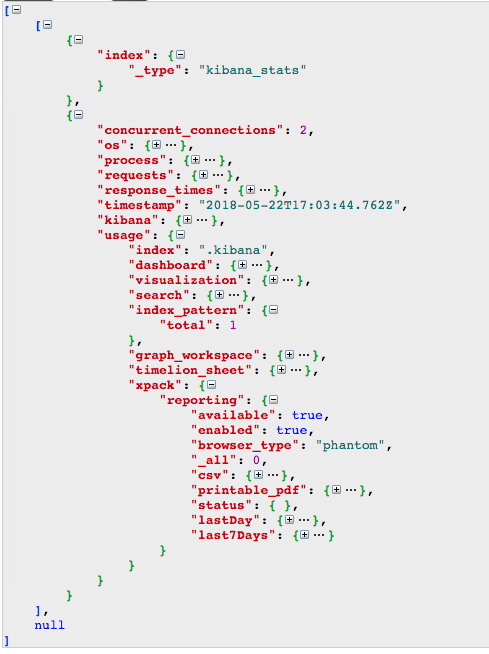 It's to support the behavior of Kibana Monitoring that sends kibana stats to the monitoring/_bulk endpoint in ES. Unfortunately, this module needs to have a lot of awareness of the usage collectors because in the current schema, usage is a field of kibana_stats. I merged in master to get #18986 into this branch. CI is running right now and I will also run some manual tests before merging.